. . .This year brought the first horses and bearded men into the drama which was played around him. This year, for the first time, he felt the edge of steel and the tortures of fire. The old chronicles say that the Spanish explorers found the cliff-houses in the year 1540. I believe that during this year a Spanish exploring party may have camped beneath Old Pine and built a fire against his instep, and that some of the 44 explorers hacked him with an axe. The old pine had distinct records of axe and fire markings during the year 1540. It was not common for the Indians of the West to burn or mutilate trees, and as it was common for the Spaniards to do so, and as these hackings in the tree seemed to have been made with some edged tool sharper than any possessed by the Indians, it at least seems probable that they were done by the Spaniards. At any rate, from the year 1540 until the day of his death, Old Pine carried these scars on his instep. I've read several of his books, this was my favorite. A nice compilation of his best reflections. Many of these tales I had read in other books of his. Delightful! While this wasn't exactly a page-turner, Enos Mills is such an amazing naturalist in American history. Reading his collection of adventures was inspiring. "Where are you going?" was the question asked me one snowy winter day. After hearing that I was off on a camping-trip, to be gone several days, and that the place where I intended to camp was in deep snow on the upper slopes of the Rockies, the questioners laughed heartily. I didn't expect to love this book as much as I did but now I want to read all his books. Great for any nature lover and conservationist. Written in 1909. 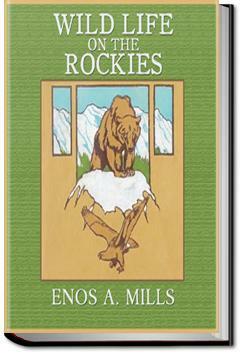 Why hasn't anyone ever recommended Enos Mills to me? Beautifully written.